First goldfinch I've seen in ages and he picked a weed in the field to sit on against all the dead grass - and the early morning sun just lit it up! Shot through the little hole in the chain link fence. I like the light and tones and how his head is turned. Great capture! How adorable, this is really a great shot. What great light, love this! 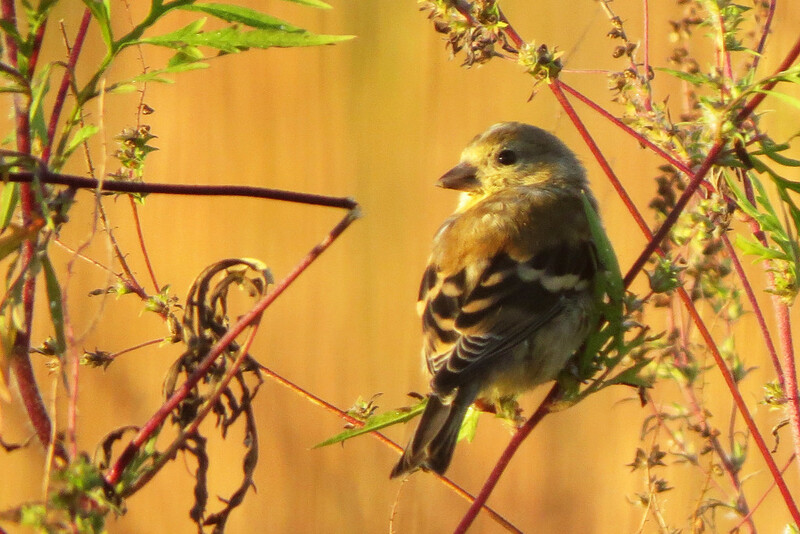 Glorious gold light on this little bird. Terrific shot. Wow, this light is so wonderful... and what a beauty just hanging out in there. What a fabulous opportunity. Such tiny birds - you've done well to capture this.